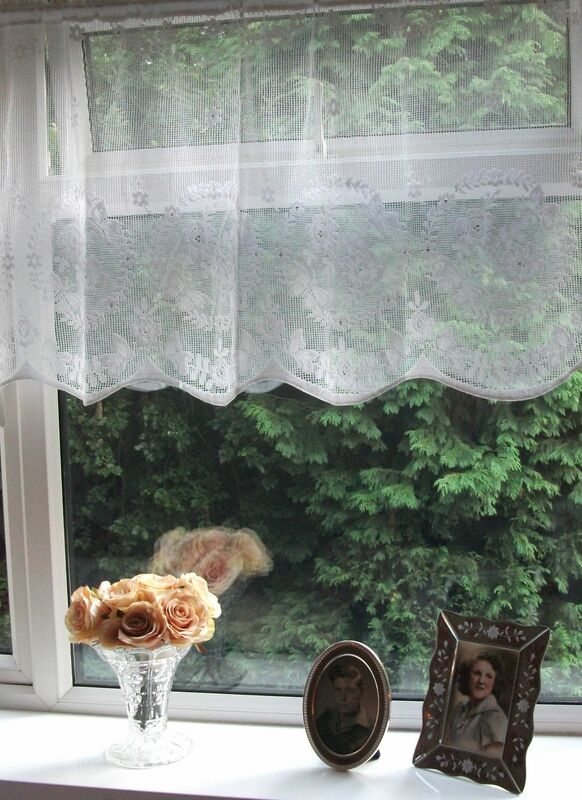 Continuous lengths of genuine vintage Nottingham cotton designer lace cafe curtain which is 60cms (24")deep, cut from the roll and sold by the metre. Made in Great Britain. An extremely pretty pattern which incorporates delicate round motifs of butterflies and flowers. 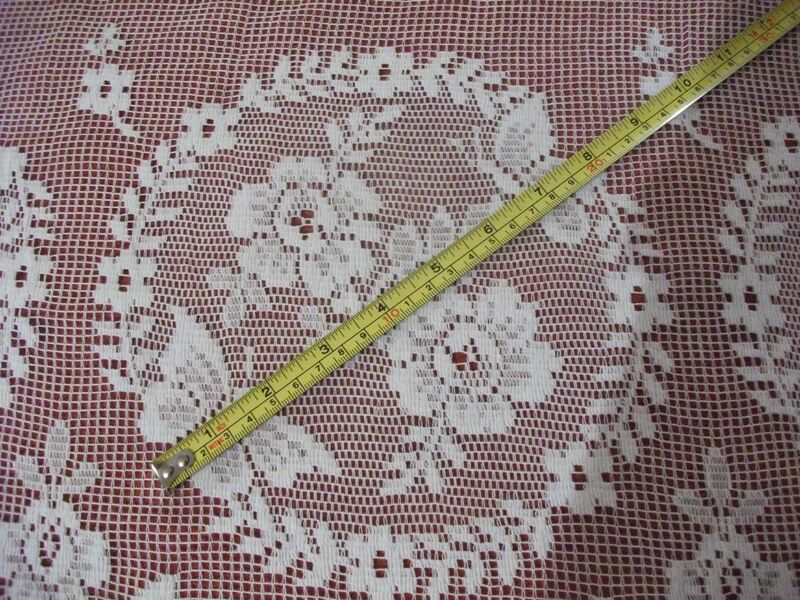 This lovely white vintage Nottingham, fine gauge, 12 point cotton lace fabric has a channel for a curtain wire or rod to the top edge and lovely scallops to the bottom. 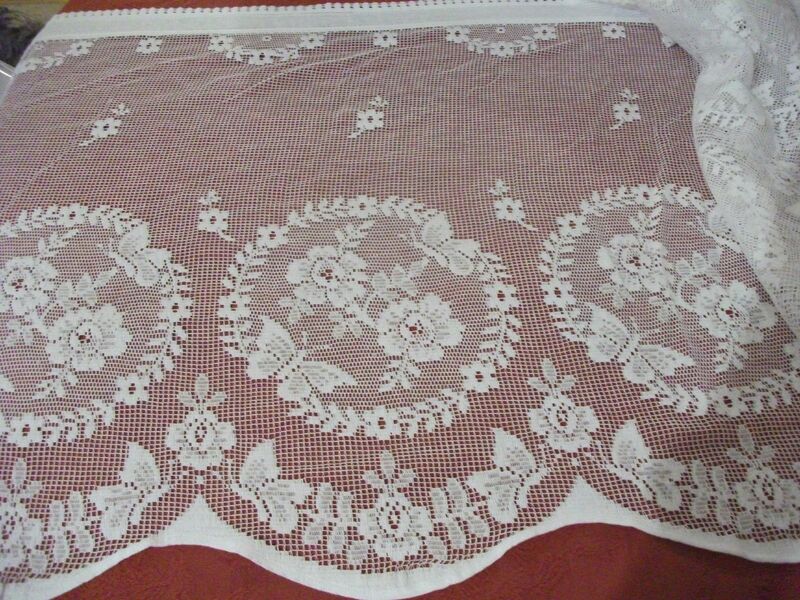 The quality of this lace is exceptional, it was made on original Victorian looms in Scotland. 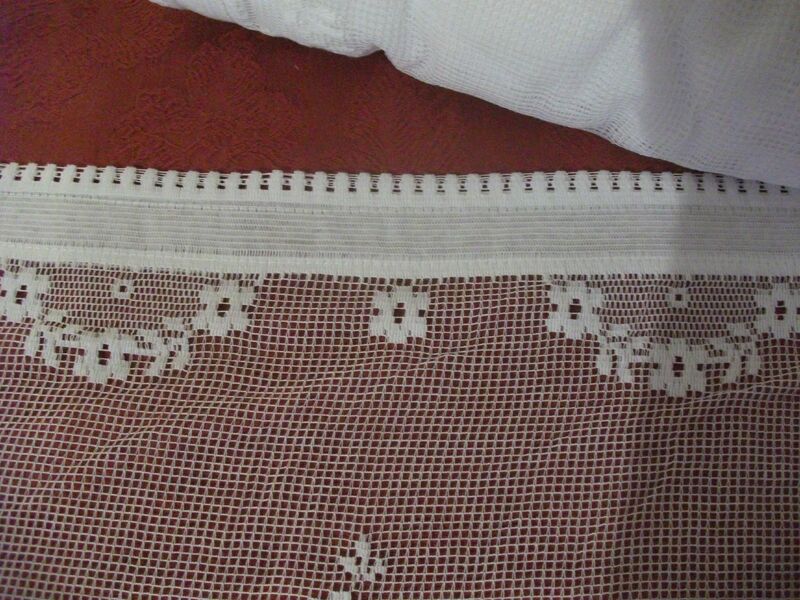 The overall width of this beautiful lace fabric is 24" (60cm) making it perfect for use as a cafe curtain, wedding venue chair sashes, nursery awning, drapes or even a valance for a 4 poster bed!Perfect for home crafts or even to add a unique vintage style to dress design. 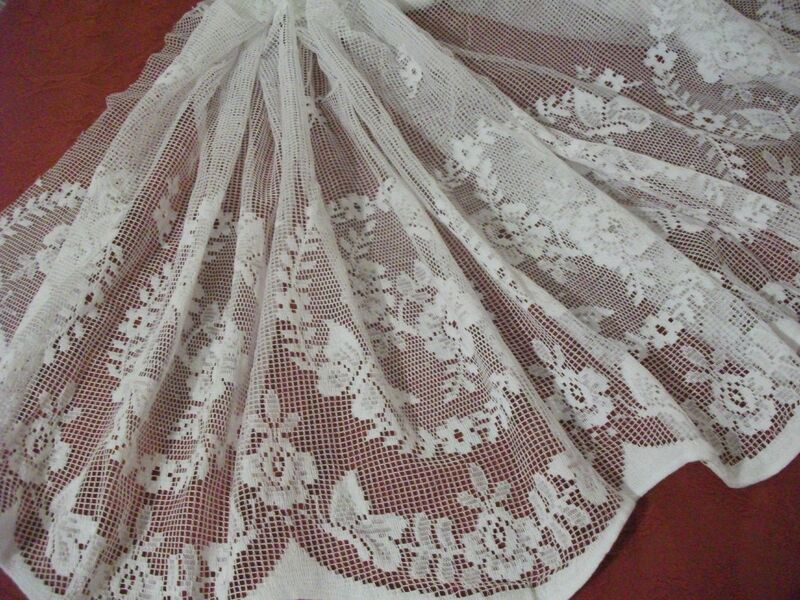 The length of this lace would be perfect to cover a skirt. Fibre: 95% cotton, 5% polyester. Colour available: White. Gentle hand wash 400C.